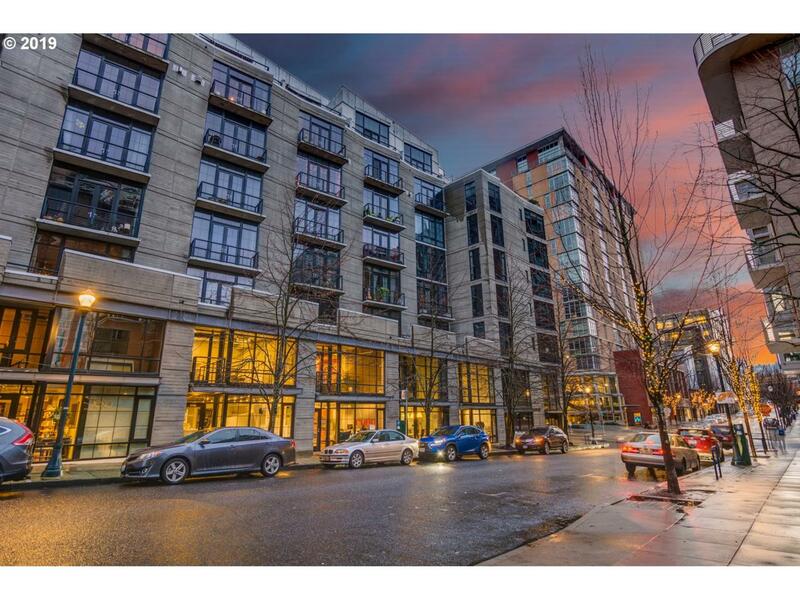 Top floor unit located in iconic Streetcar Lofts! Spectacular view of the Fremont Bridge. Open living area offers open space for kitchen, living room & dining. Kitchen has granite, newer appliances. Spacious master bedroom w/ vaulted ceiling, french doors out to 200+ sq ft deck. Large Mstr bath, walk-in closet and laundry. Storage in unit as well as separate deed storage & parking. Listing provided courtesy of Premiere Property Group, Llc.